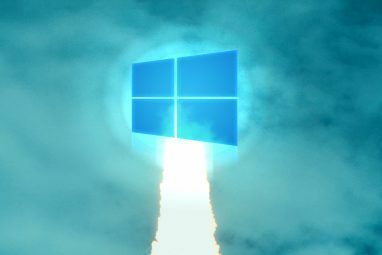 The general look of some operating systems 10 Quick Ways to Customize & Personalize Windows 10 10 Quick Ways to Customize & Personalize Windows 10 Not all of Windows 10's default settings will float your boat. We show you all the possible ways to customize Windows 10 in a simple, step-by-step guide. Read More remain the same, regardless of what you do to them. Linux is different in that regard, with a very high level of flexibility at its core. Each computer running it can vary wildly in both looks, and behavior. As such, it’s easy to have something on Linux that’s suited just for you. This can be hard to do though, if you’re not sure what you’re looking for. This applies even more if you’re using something a bit unique. In this case, using a window manager as your desktop environment Which Linux Desktop Environment Best Suits Your Personality? Which Linux Desktop Environment Best Suits Your Personality? What kind of computer user are you? Do you leave icons scattered across your desktop? Do you prefer to work in one uncluttered application? Let's find out which Linux desktop environment suits you best. Read More . If you’re considering this route, there are a few things you should think about first. A desktop environment is a set of programs which lets you easily interact with your computer. This can include things like a file manager How to Manage Files in the Linux Terminal and Desktop How to Manage Files in the Linux Terminal and Desktop Once you make the change to Linux, you'll find a sensible desktop that is easy to use, from installing new apps and launching them to organizing your data. Read More , among other things. Examples of desktop environments include KDE’s Plasma desktop KDE Explained: A Look at Linux's Most Configurable Desktop Interface KDE Explained: A Look at Linux's Most Configurable Desktop Interface What does Linux look like? Sometimes, Unity; other times, GNOME. Oftentimes, though, Linux runs KDE. If you're not using the erstwhile K Desktop Environment on your Linux PC, now is the time to change! Read More and GNOME. One major part is called the window manager (e.g. Plasma’s KWin and GNOME’s Mutter). Put shortly, it’s software that’s in charge of making the apps you run display in a certain way inside windows. For example, the programs you run on your desktop can usually be moved around and resized. You can easily switch between different applications, and minimize or maximize them Save Time with 20 Linux Keyboard Shortcuts GNOME, KDE, & Unity Save Time with 20 Linux Keyboard Shortcuts GNOME, KDE, & Unity You know about Windows keyboard shortcuts, but having just migrated, you're wondering "what about Linux?" Well, try these 20 awesome shortcuts for three of the most popular Linux desktop environments: GNOME, KDE, and Unity. Read More . The window manager gives you a way to do this: a frame around programs to click and drag, and so on. This piece of software is usually combined with others, to make up a desktop environment. For example, you might have a program dock 5 Power Docks For Your Linux Machine 5 Power Docks For Your Linux Machine Perhaps you've switched to Linux from macOS; or perhaps you just like the idea of a dock. Whichever it is, these five desktop docks for Linux will help you to improve your productivity. Read More to control your applications, and so on. As such, calling a window manager one by itself is a bit of a misnomer. That said, you can still use them on their own — some are even designed for that. And it’s easy enough to add separate programs which do the same task as a full desktop environment. What Is Your Computer Like? It’s possible you might end up using a window manager Compiz vs. KWin: Which Window Manager Is Better? Compiz vs. KWin: Which Window Manager Is Better? If you have never messed around with a Linux system, but have seen a YouTube video about it, there's a high chance that you've seen someone show off their fancy desktop effects, most notably the... Read More (and little else), simply because it runs the best on your system. Being a rather small (if important) part of a desktop environment, you’re cutting out many other programs, not needed to actually run things. 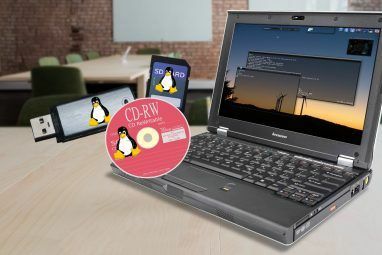 This can be a great help if your computer is old Revive Your Old PC With Lightweight Linux LXLE Revive Your Old PC With Lightweight Linux LXLE Got an old PC or netbook that you're reluctant to part with? A lightweight Linux distro can breathe new life into your hardware and the new LXLE distro is perfect for this. Read More and doesn’t have much resources to share. All applications need memory to work properly — it provides them with a way to run. Without it, they wouldn’t work. So, say that you have a computer with only 4GB of RAM. Web browsers, especially, can easily take up more than half that amount (especially certain, heavier ones Why Is Google Chrome Using So Much RAM? Here's How to Fix It Why Is Google Chrome Using So Much RAM? Here's How to Fix It Why does Google Chrome use so much RAM, especially compared to other browsers? What can you do to keep it in check? Read More ). Combine this with multiple programs, opened together, and things begin to get rather cramped. Running something like the GNOME desktop GNOME Explained: A Look at One of Linux's Most Popular Desktops GNOME Explained: A Look at One of Linux's Most Popular Desktops You're interested in Linux, and you've come across "GNOME", an acronym for GNU Network Object Model Environment. GNOME is one of the most popular open source interfaces, but what does that mean? Read More can take up a large amount of system memory. A fresh session took up half a gigabyte, for example. It might not sound like a lot, but it can still be a problem to some users. And you might prefer to devote that memory to other programs you actually use The Best Linux Software and Apps The Best Linux Software and Apps Whether you're new to Linux or you're a seasoned user, here are the best Linux software and apps you should be using today. Read More to get things done. This is only a larger point of concern with systems with very constrained amounts of resources. In contrast, many window managers by themselves are very light, and take up little space. Openbox Need A Fresh Desktop Environment for Linux? Try Openbox Or xmonad Need A Fresh Desktop Environment for Linux? Try Openbox Or xmonad Read More , for example, takes a fraction of what larger desktop environments need to run. Very useful for systems that can’t afford to use up too much memory. Are Keyboards Better Than Mice? Some window managers have a smaller focus on mice than others. For ones designed for standalone use, keyboard shortcuts Save Time in the Linux Terminal with These 20 Shortcuts Save Time in the Linux Terminal with These 20 Shortcuts Whether you're a terminal newbie or someone who got over the fear long ago, here are 20 shortcuts that can help you overcome some of the command line's awkwardness. Read More can even be essential, forcing users to learn how to use them. This is more the case for the more unique window managers, which behave differently to more familiar ones. For example, look at the i3 window manager. Unlike more common window managers found in most desktop environments, it focuses a lot on keyboard shortcuts to move and place its programs. This is, in part, due to its design. It’s made so that open windows can’t overlap with each other. Instead, they can split screen real estate between them, or go underneath them completely. Because of this, it needs keyboard shortcuts to tell them where to go, something that the mouse 4 Astounding Linux Mouse Hacks 4 Astounding Linux Mouse Hacks Ever since its invention, the mouse has become an extremely useful tool that makes using a computer much easier to learn when coupled with a graphical user interface. However, some of you may feel like... Read More alone can’t really do. For example, there are commands to ask windows to be positioned horizontally or vertically from each other. This is meant to help make your workflow fast and efficient, but only if you’re willing to learn how to use it. This being said, most window managers, even one inside a desktop environment, can be set up to use shortcuts. But not all of them will be as dependent on the keyboard as others, or perhaps, as efficient. How Much Do You Want to Tweak? Some desktop environments are known to be more flexible than others. The Plasma desktop KDE Explained: A Look at Linux's Most Configurable Desktop Interface KDE Explained: A Look at Linux's Most Configurable Desktop Interface What does Linux look like? Sometimes, Unity; other times, GNOME. Oftentimes, though, Linux runs KDE. If you're not using the erstwhile K Desktop Environment on your Linux PC, now is the time to change! Read More for example, has a reputation for being very easy to change and tweak. As changeable as they are, however, window managers are still much more flexible. This is because you’re given less out of the box than normal. A window manager has a very limited set of things it can do. 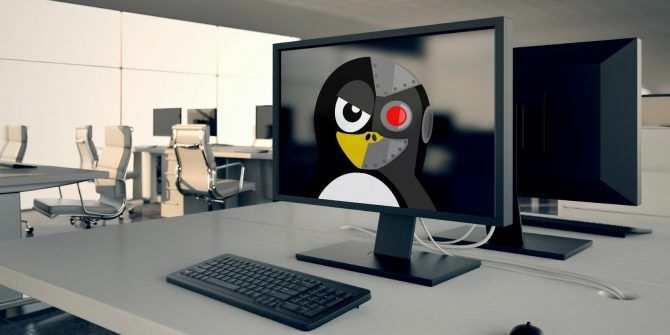 For the most part, they just give you a way to display your programs 7 Paid Linux App Alternatives That Are Worth the Money 7 Paid Linux App Alternatives That Are Worth the Money We all know Linux is a bastion of open source software, a platform flooded with free apps and programs. But there are also plenty of paid apps that you should take a look at. Read More and switch through them. Anything more requires other programs to function. For example, out of the box, you won’t have any sort of desktop panel or application dock. This means no things like a system clock, or battery icons Widgets on Linux: 5 Plasma Applets You Should Try Out Widgets on Linux: 5 Plasma Applets You Should Try Out KDE's Plasma desktop offers a flexible Linux experience, you can even make it look like Windows or macOS, thanks to a bunch of excellent applets and widgets like these. Read More , and the like. 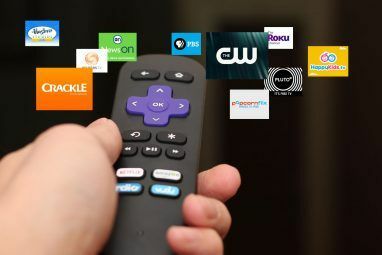 Instead, you’ll need to rely on separate programs to do the job. Desktop environments include these sorts of things by default. Using a window manager means you have to mix and match parts of the system you need from scratch. This provides window managers with a larger amount of freedom. Sure, it’s possible to take things away from a desktop environment, to make it as minimal as you want, but a clean slate can be easier to work on. It’s also easy to mix and match things together. There are many program docks 5 Power Docks For Your Linux Machine 5 Power Docks For Your Linux Machine Perhaps you've switched to Linux from macOS; or perhaps you just like the idea of a dock. Whichever it is, these five desktop docks for Linux will help you to improve your productivity. Read More and system panels out there, any of which you can choose from. A window manager (with some extra programs if you find it too bare) might not be for you. Perhaps the amount of work you’d need to put into it is too much of a hassle. You might not be interested in building a desktop from the ground up. And that’s fine. There are plenty of other ways to get something fast and fairly flexible. There are, for example, many lightweight desktop environments The Best Lean Linux Desktop Environment: LXDE Vs Xfce Vs MATE The Best Lean Linux Desktop Environment: LXDE Vs Xfce Vs MATE On a fresh Linux installation, there's not much you can do to speed things up, other than look at your choice of desktop environment. Here we look at three options: LXDE, Xfce, and MATE. Read More which you can choose from. While they may not be quite as compact as just using a window manager, they have a few more features to compensate. For example, they’ll have a system tray out of the box, along with things such as a clock, and so on. Plus, it’s possible to mix and match different pieces of software with each other. It’s entirely possible to use a different window manager that comes out of the box with a desktop environment 5 Great Linux Desktop Environments You Haven't Heard Of 5 Great Linux Desktop Environments You Haven't Heard Of There are lots of Linux desktop environments out there -- including some great ones you probably haven't heard of. Here are five of our favorites. Read More . Some, like LXDE Using An Old Computer? Give It New Life With LXDE Using An Old Computer? Give It New Life With LXDE As Linux is arguably the most customizeable operating system between it, Windows, and Mac OS X; there's plenty of room to change just about whatever you please. Proper customizing can potentially lead to massive performance... Read More , do this out of the box, combining a standalone window manager (Openbox) with programs that make it easier to use. Have you tried a window manager instead of a desktop environment? What do you do to keep your desktop light? Share your tips below. Thank you for the article. I just wanted to add up on the development of new display server protocols, in particular the upcoming Wayland that's gradually replacing the 'legacy' XOrg display server. You already can find it implemented in latest Fedora distribution as an option, and other minor distros, with more major distros to implement it.It's still not in a mature stage, there are issues to be worked on, but should be the next GUI protocol to use. For most tasks I really like either XFCE or i3. When I use i3 I usually use a collection of xfce applications to supplement (xfce4-terminal, NetworkManager's nm-applet). I am concerned about the takeover of x11 by wayland because neither of these environments run in wayland. Check out swayWM. It's a project that's porting i3 to wayland.